According to his Wikipedia entry, his first published work was for Near Myths in 1978 but, he didn’t break into mainstream American comics until the late 1980s. Prior to his ground-breaking runs on pre-Vertigo DC titles, he was published in Harrier Comics‘ Sunrise from 1987. But, he didn’t write the main feature, Sunrise. No. He wrote the back-up story entitled, Abraxas, teamed with artist, Tony O’Donnell. 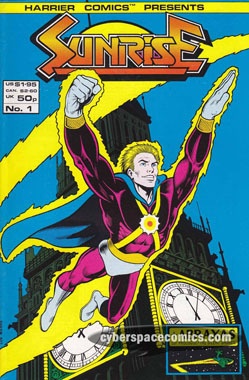 The series only lasted two issues.